[Speculation] Did Fox Change the Final Cut of FF on Purpose? It seems as if Fox was not ready to put what he made into the world. Why is that. What would Fox have to gain from this? Well Fox is currently in negotiations to produce an X-Men TV Series based on their movie universe. As we found out earlier the TV rights are not as easy to interpret as the movie rights that Marvel sold 20 years ago. So how would Fox bring any leverage to the table? 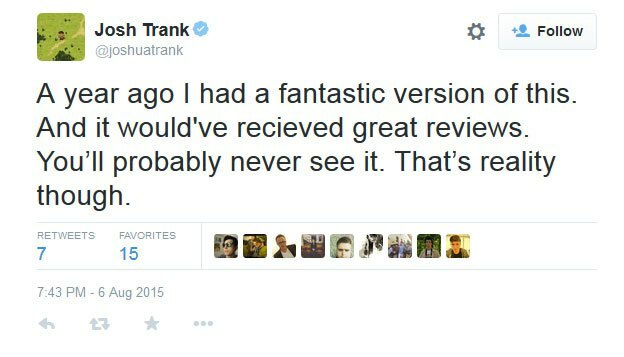 What about a dead franchise, whose movie just completely tanked to start off its box office run? Fox could leverage their Mutant Universe and go “all-in” on the X-Men by offering that never acclaimed Fantastic Four movies up as tempting fodder to the almighty Disney-Marvel Gods. Again, pure speculation, but what do you think? 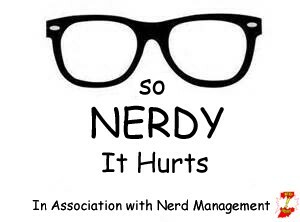 After a lengthy hiatus, the So Nerdy It Hurts Blog will be coming back and will be better than ever!! Stay Tuned.